"Will definitely use company in the future." Compaction grouting or Low mobility grouting (LMG) is when a stiff to plastic grout is injected into the soil under pressure for sink hole remediation. It expands in the soil as a relatively homogeneous mass and at the same time it is forming a bulbous shaped grout mass around the point of injection. The soil surrounding the grouted area is displaced and at the same time compacted. 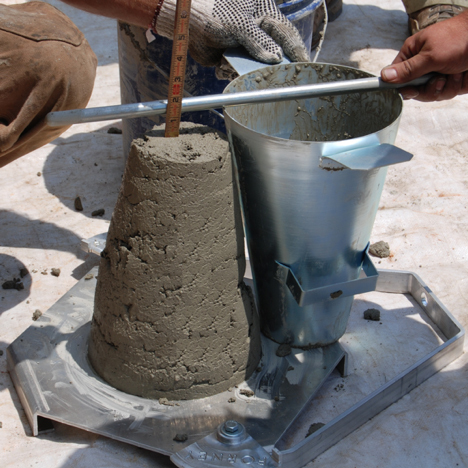 Compared to other grouting techniques, the grout material neither penetrates into the pores of the in-situ soil nor are local cracks formed. During the low mobility grouting process, Keystone Foundation Repair monitors the pressure and grout quantity as well as possible movement at the surface. 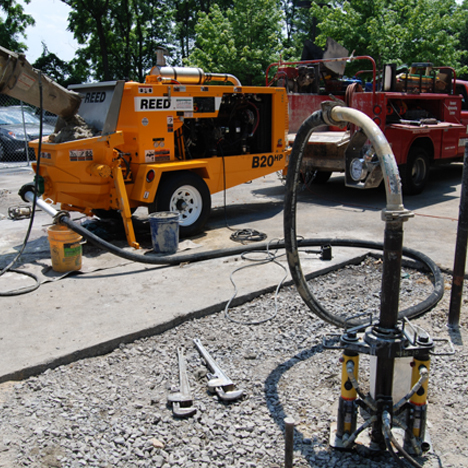 Depending on the design requirements, the compaction grouting process is terminated either when reaching a maximum pressure, a maximum grout volume or when the desired uplift a structure is achieved. 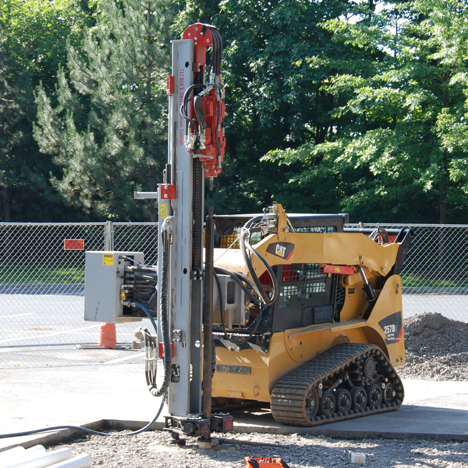 The LMG process may be used for the improvement of non-cohesive soils, especially in cases, where soils of loose to medium density are encountered and is especially useful in sinkhole environments. This method is also used in fine-grained soils in order to install elements of higher strength and bearing capacity in soils of low bearing capacity, thus improving the load bearing behavior of the soil. Grout is pumped down the casing as it is withdrawn to Certain intervals. Grout pressure and volume is recorded.